Chatsworth, Los Angeles, California – After prosecution’s closing statement yesterday, and defense’s closing statement today, the trial of teen Brandon McInerney goes to the jury. Long weeks of hard-fought testimony, evidence and counter-evidence have come down to the judgment of twelve citizens over a deadly serious question: Is the victim of a homicide responsible for his own death, or not? 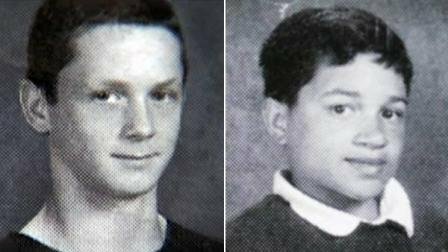 McInerney’s defense team, led by Scott Wippert, has tried mightily to paint 15-year-old Larry King as the aggressor in his own slaying, justifying their client, the confessed killer, somehow for shooting his classmate twice in the head in broad daylight. Bridling at any suggestion by the prosecution that he and his team were using a version of the discredited “gay panic defense,” in which the psychic trauma of encountering perceived harassment by a gay person “ignites” a passion to kill, Wippert nonetheless has consistently used that logic to paint King as a “sexual aggressor” who made all the boys at E.O. Green Middle School in Oxnard feel unsafe. According to The Advocate, King’s manner of effeminate dress and language “harassed” the boys (most especially his client), and disrupted school life to the point that, as Wippert put it to the jury, “The [E.O. Green] boys didn’t feel safe in the school,” because of the 5-foot 4-inch, 125-pound King. Prosecutor Maeve Fox sought to counter such an argument, calling the strategy of the defense an appeal to anti-gay sentiments and oppressive anti-feminine stereotypes. “It’s an attempt to reach somewhere deep down,” she said in her rebuttal to the jury. “To a dark place.” Fox showed a photo of King taken just days before his execution-style murder, smiling as he held up a green dress given him by his teacher, Dawn Boldrin. According to The Advocate, King was wearing a school uniform at the time of the picture, not women’s clothing, and had on unobtrusive makeup. Fox asked the jury as she held up the picture, “This is the guy that you are being asked to believe was a sexual predator who tortured the defendant into a state of despair.This [person] is so threatening to the average male psyche of 14 or 44 or 84?” She reminded the jury that if they bring in a verdict of manslaughter, they would be ignoring the testimony of students who said McInerney told them days before the killing that he was going to end King’s life, and further, the expert psychiatric report in which McInerney said he did not even consider his victim a human being. A manslaughter verdict would mean the jury believed that any average person would have acted in the same way McInerney did on the day he took his teenage classmate’s life. But premeditation of the sort the defendant exhibited by planning and waiting until first period class was well underway before he pulled out his pistol and shot King in the back of the head dictates a first-degree murder sentence. Wippert reported referred to the tender age of his client 39 times in his closing statement to the jury. He contended that King’s quip to McInerney the day before he killed King, “What’s up, baby?”, was “the straw that popped the balloon,” and pushed McInerney to shoot him. Fox rebutted that King was just giving back something of the stress that he had experienced from McInerney and his clique as they bullied him for being different. But would an average person take such umbrage at affectations and effeminate ways, even if aimed at such a person, that he would plan and shoot an unarmed person in cold blood? Prosecutor Fox said no. McInerney wasn’t acting as an average person. He was acting out his white supremacist schooling to kill a sub human, as reported by the Associated Press. He believed, Fox contended, that killing King was doing everyone a favor, and that he would be congratulated for doing it. The jury will decide soon. No case of a hate crime killing against a gay person has drawn more attention since the murder of Matthew Shepard in Laramie, Wyoming in 1998. If the jury brings in a verdict of manslaughter, McInerney, who is now 17, may be eligible for release before he is forty. If they decide for first-degree murder, he may not see freedom before he is 57.